It was a bright summer morning in 1956 and our annual Scout fete was to be held that afternoon. It was due to be opened by the captain of our local football team and I telephoned him to confirm that he would be there. His mother answered the telephone and told me that he was not at home – he was holidaying in Spain. Problem: how to find an alternative? 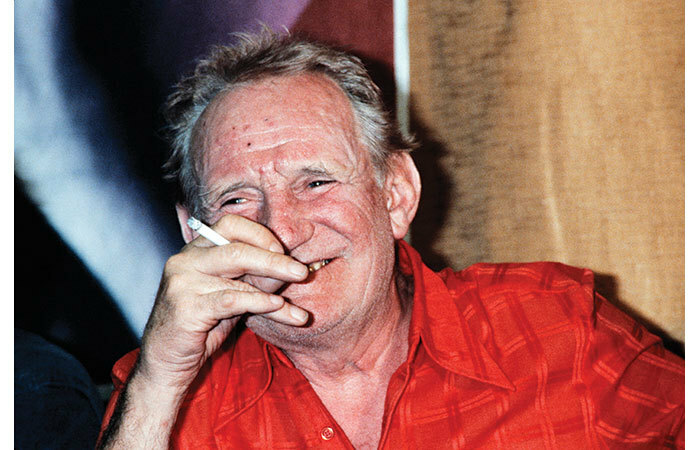 Our chairman suggested that we ask Trevor Howard – ‘After all, he lives in our village.’ This was true, but I did not know him apart from seeing him occasionally at the local public house. Rather tentatively I went to his house and rang the front door bell. No answer, so I went to the back garden. Trevor Howard was sitting on a deck chair, naked to the waist. The patio doors were open and in the room behind was a television set with a cricket match showing. He looked up, put his whisky down and said, ‘What can I do for you, young man?’ I told him about the fete and asked if he would be prepared to open it. At ten to two there was no sign of our celebrity opener and I began to get worried. But a moment or two later out came Trevor with his wife Helen Cherry. He came to the stage, tapped the microphone, and said how privileged he felt to be asked to open the fete. Along with his wife, he then visited every stall, talking to the Scouts, saying what a splendid time he was having and spending money on each stall. They sold autographs and kisses, and stayed for well over an hour. As they left I thanked them for spending their time with us.